Life is nuts….but even better with chocolate! And, we truly believe that statement. So much so, in fact, that we have gone and put chocolate on one of our most popular peanuts. Yep, you can now enjoy our special dipping chocolate with the heat of our Weeping Mary's Ghost Pepper Peanuts! Ghost Peppers are one of the hottest peppers in the world, and we've combined that heat with the smoky heat of the Habanera Pepper, the sweet heat of Paprika, and the cooling sweetness of our dipping chocolate to create a frighteningly good taste combination. 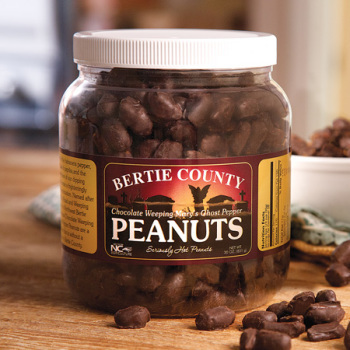 Named after Weeping Mary Road and Weeping Mary Church in Northwest Bertie County, our new Chocolate Weeping Mary's Ghost Pepper Peanuts are a truly tasty treat that is without a doubt unique to Bertie County. These are amazing! The kick comes shortly after the yummy chocolate. Going to make great stocking stuffers. These peanuts have a very good chocolate flavor and seasoning - it's a bit on the spicy side for me but for someone who likes spice, you will probably love these! These chocolate covered spiced up peanuts are great! Nothing like the sweet of chocolate with the warmth of the ghost pepper! Loved the bold flavors and heat of the Weeping Mary nuts, but now with the sweet and spicy combo of chocolate, woo weee these are my new favorite Bertie offering. Chocolate, peanuts, add Ghost Peppers. Try it. You want be let down. I ordered a 30oz jar of the Weeping Mary's Ghost Pepper Peanuts on a whim after having tried the Hot Roasted peanuts. They are absolutely delicious. The chocolate is sweet and slightly bitter giving the salty hot peanuts hiding inside a great compliment. And they are hot! Not too much where they burn your tongue, but you definitely notice the burn in the back of your throat. I would highly recommend these to anyone who likes chocolate covered, hot peanuts. I will be buying more! Got these for my son in law. He totally loved them. And my son, who normally does not like chocolate, loved them also. Did a repeat order and my son ate my son in laws peanuts. I have not opened this product. It is a gift for a friend. 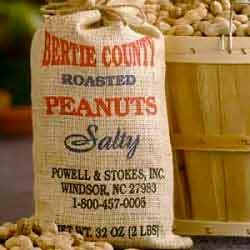 I've tried other items from Bertie County Peanuts and they were outstanding. Can't emphasize how GREAT this treat is and everyone should try them. I absolutely love your ghost pepper peanuts, took a chance on the chocolate covered ghosts and fell in love all over again... can't compliment you enough on your newest addition to the family, now my #1 favorite! The chocolate weeping Mary peanut is the best, most addictive thing on thi earth. If you like spicy and chocolate do not pass this up. do not be fooling by the "ghost pepper" description, these are hot but not to bad. Try them, you will not be disappointed! You can never go wrong when you add chocolate to anything. But the twisted brilliance of this blend stands alone. May I have another? I love chocolate and I love spicy so I don't know why the combination struck me as odd. Nonetheless, I had to give them a try, especially since I am a huge fan of the devilishly addicting Weeping Mary's Ghost Peanuts. If there was any doubt about the combination it dissolved after tasting the first nut. I have to limit my orders from these folks as, once received, I cannot keep my hands out of the jar. Get them while you can because they seem to be a seasonal treat as they were not available earlier this year. These spicy peanuts are FABULOUS! 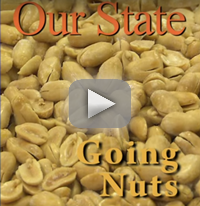 The title of my review says it all...these peanuts are just FABULOUS! The chocolate covering seems to hide the fact that they are so spicy, but WATCH OUT! The KICK will come when you least expect it and then...OH MY GOSH! Your mouth and nose will start to burn, but it is SO GOOD! If you like spicy food, this product is for YOU and the dark chocolate is great, too. MM...MM...GOOD! Absolutely love them. Take their advice and buy them before the weather warms up. I keep mine in the 'fridge. If you like hot stuff, especially hot stuff that is covered with chocolate, this product is for you! There might be some out there who think this is not for the faint of heart. I say, yes, it might be, but, tighten your taste buds and go for it! This is delicious and, yes it's hot, but you just can't stop eating it! Whoo..hoo! Great as a gift for your spicy food-loving friends or for yourself if you love spicy food, too. And, it's COVERED WITH CHOCOLATE! Does it get any better than that? I was leary of this bc of the chili. I went with the Chocolate Covered bc the creaminess from said chocolate would take heat down a bit. Amazing flavor, next batch I purchase will be the regular Weeping Mary. Fast shipping, tasty product and a good portion! Couldn't be happier and will order again! Outstanding. The perfect mix of sweet and spicey. Reminds me of the old commercial phrase "bet you can't eat just one." I've stocked up, unfortunately just before the sale, with enough to hold me through to November--if I can control myself. You should simplify process for review. Nuts were too hot for my liking. I think your weeping Mary peanuts are the best regular or chocolate covered they are the only peanuts that I eat. Only down side is shipping cost. So good I had to buy more! Got a big jar of Chocolate Covered Weeping Mary's Ghost Pepper Peanuts for everyone in my family for Christmas!